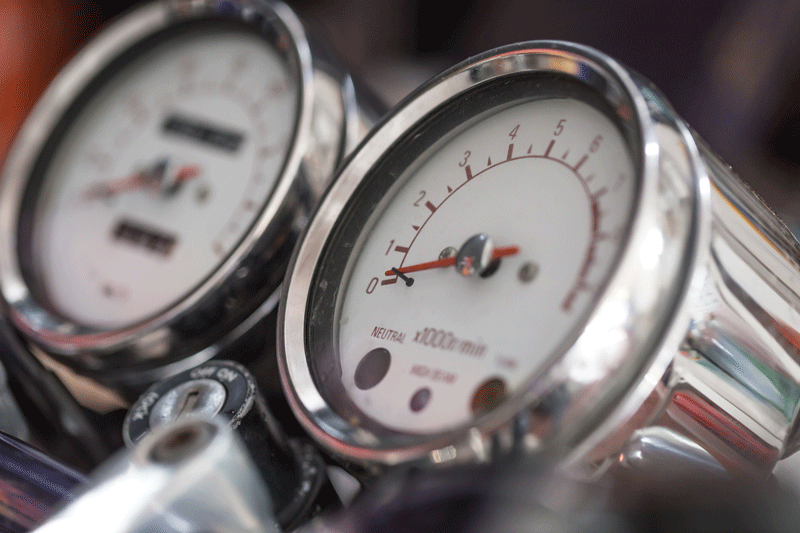 When you get a Harley, it's usually tuned lean for emission regulations, which can effect the way it plays to the ear. 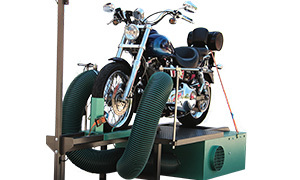 We can make your Harley sound like a Harley! 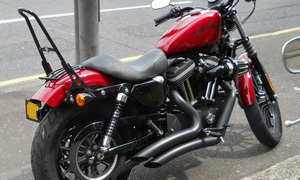 Effectively we derestrict the bike (in a legal manner), the bike is recalibrated and the result is a Harley that sounds like a Harley and which performs really well. by booking it in for tuning in Broughshane, Ballymena. • Please phone us first! 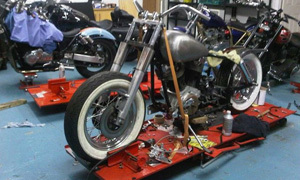 • In addition to our primary focus on servicing and repairs of Harley motorcycles, we can also do the occasional Winter rebuild for customers - by special arrangement. 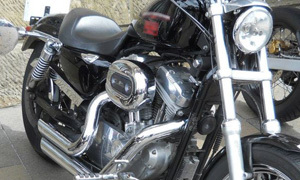 Do you want your Harley servicing in Broughshane, Ballymena by a recognised Master Technician - at a competitive price? 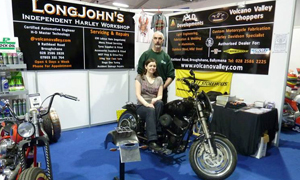 John Lilley is the owner of Long John's Harley Works and is an independent Harley motorcycle engineer. John was Lead Technician for Harley-Davidson for 12 years, he is fully qualified and holds the highest recognition available in this field of work - a ‘Harley-Davidson Master of Technology’ certificate, which was awarded after completion of Master Technician Powertrains, Master Technician Electrical, Master Technician Chassis and 5 years' service at a Harley Main Dealer. John says: "I've been in motor trade from my youth with all the old fashioned City & Guilds qualifications. 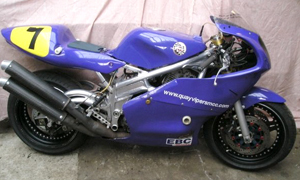 My previous life included Diagnostic Technician in the Car world, and I was building and racing bikes for 12 years including the Isle of Man Manx GP and historic racing on the Daytona Speedway. 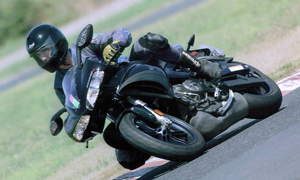 I started with Provincewide Harley Davidson in its outset in Ballymena in 1999 and stayed with it with the move to Kilbegs road, Antrim and then to its liquidation in January 2012. 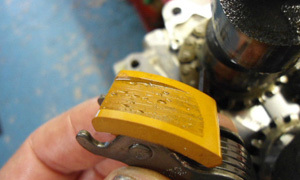 The lack of a main dealer at that time in Northern Ireland prompted the opening of Long Johns Independent Workshop February 2012." 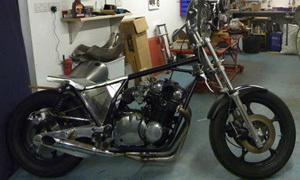 "Truth be told, I learn most from riding and repairing my own older bikes which gives me a unique insight into the pre Twin Cam models such as the Evolution and Shovelhead/Ironhead period. An occasional road trip reaffirms my love of riding. Previously it was to Tabor in the Czech Republic for my Rolling Road Training. 3000 miles in a week!" "My shop is run as a sole trader with associated insurance etc, and an electronic pay system on site."